In the wake of the shocking news of Nigerian pop star Goldie Harvey‘s death, her Big Brother Africa StarGame confidant and friend Prezzo has released a tribute poem. The Kenyan rapper who is reportedly on his way to Nigeria called Goldie a Goddess on his Facebook and Twitter pages. Awwwwwwwwwwwwwwwww, i dont like Prezzo, but that was soo sweet. may her soul rest in peace. 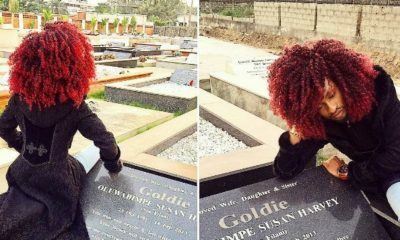 Very touching……RIP Goldie, We miss you so much…. And only God knows why???? I’m at work and I read this with tears in my eyes… we indeed need to live like we are dying. Are you still holding grudges against that person? Keeping malice? Not declaring your love for someone? Not pursuing your dreams? Are you still holding back on giving your life to Christ? Tomorrow may be too late; don’t waste another second.. Adieu Goldie…. till we meet to part no more …. Please prezzo did not write the wording of this poem. This poem has been in existence for years now. So what’s your beef here? Thanks Prezzo . 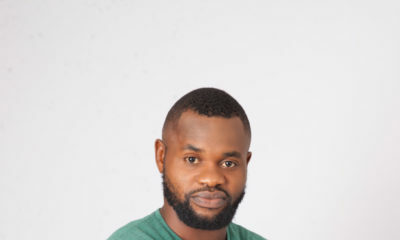 May i also add up by saying that When people Thank God for the Miracle of Sleeping and waking up they aren’t being over Holy, They Only recognized The Almighty God who has the Final Say about LIFE. Is just so Hard to say Goodbye to Yesterday, Wished I had You on my Front Cover Before your Transition to Glory….. Sleep On Goldie>> I’ll always Miss You. Strange this is the same Goldie that was criticized heavily on most blogs for her dress sense, what she wore to the Gram, her stay in BB that is now golden heart, my dear, will be missed by the same people who criticized her. God forbid that anything happens to Tonto, Rukky & Halima – wonder what will be said about them then… that’s life! chris ayo joseph , pls just type rip or dont type anything at all. nobody wants to hear what ifs when mourning. God knows best, do not question, just be appreciative of ur own life simple. rest in peace goldie. u r in a better place. So I guess u are dressed in black and stayed off work an food to mourn her. Anyone can comment based on how they feel at the time. He’s sensible enough to say that Nigerians do not recognize the manifestation of certain health conditions so as to administer first aid that coulda been helpful. Besides this is not a condolence register, so run up. Sad dint know her personally but somehow tears rolled down my eyes. Life ! RIP Goldie.. God knows best…. #crying# good night golden one, now your haters can to sleep too. Still in shock,,shorts of word bt let her soul rest in peace..
@ yes i said it You are either mean or just plain ignorant, i can’t decide on which! The way people react to the same situation can be different! People involved in the same accident have different reactions; some are not injured but die of sudden cardiac arrest, some are seriously injured and still survive while for some nothing happens to them except for shock!! Just because Kenny Ogungbe was on the same flight doesn’t mean their bodies would respond the same way!! We don’t know what happened to her but it sure should make you think deeply that our bodies are imperfect and that everyday we live is a miracle, if you bother to watch medical documentaries you would know that this body can randomly start misbehaving cause its imperfect!! So hold your speculations and wait till the truth comes out!! But really mentioning cocacola,winks and all that in this context is an abuse of freedom of speech!! Rest In Peace, Goldie. Premature death is horrible. I wonder about foul play in all this. 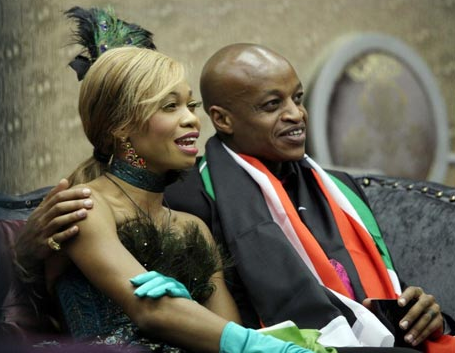 As for Prezzo, please do as Goldie’s husband asks and back off as you have caused enough “hurt” and “pain”. This is not your moment to shine. apparently Goldie had a husband. @funmi stop showing ur ignorance by thinking ple that use reddignton hospital all have underlying medical problems….let ur poverty mentality not kill u….she probably died of deep vein thrombosis which is a risk that can happen to long didtance travellers due to various factors……as for u prezzo haters if goldie did not play a game with him despite being married he would not have had a chance to be friends with her….he was her friend and he had a right to express himself like anybody else so all that crap of backing off na wash…..goldie rest in peace, we all will miss you……b4 i go all u who think cos we criticized goldie when alive was cos we hated her, it was cos we didn’t like all she did or wore sometimes…..didnt think she was a great singer but she dared to be different….she was down to earth and genuinely cared about ple…..am definitely very very sad she was gone too soon…. Can’t believe it, i was still watching a show she did on Good Morning Africa for valentine’s day. She was smiling soo muchh, not knowing it was her last good bye. awww prezzo…………RIP GOLDIE!!!!! forever in my heart. is very hard to believe that you’ve gone. But, i appreciate God for the life you lived and God with comfort your family…. So touching. RIP Bimpe Harvey. With love from Cameroon…i can’t still believe our GAGA lady is gone.If i had the powers i would give her a second chance…..RIP dearest. And how did u know that @patbliss. U dont know her personal relationship with God, so don’t say what u aren’t sure about. Salvation is personal and the good Lord looks at the inner heart of man, not the outward appearances mortals focus on. May God forgive u.